Our web production teams provided full-service, ongoing support of Licensing’s 50-page website, including editorial, technical updates to adhere to client-side requirements, monthly web analytics, website publishing, download and video publishing, and maintenance to localized pages of the worldwide website. Our team also delivered projects, including website redesigns, site migrations to new Microsoft content management systems, SharePoint sites, and campaigns. 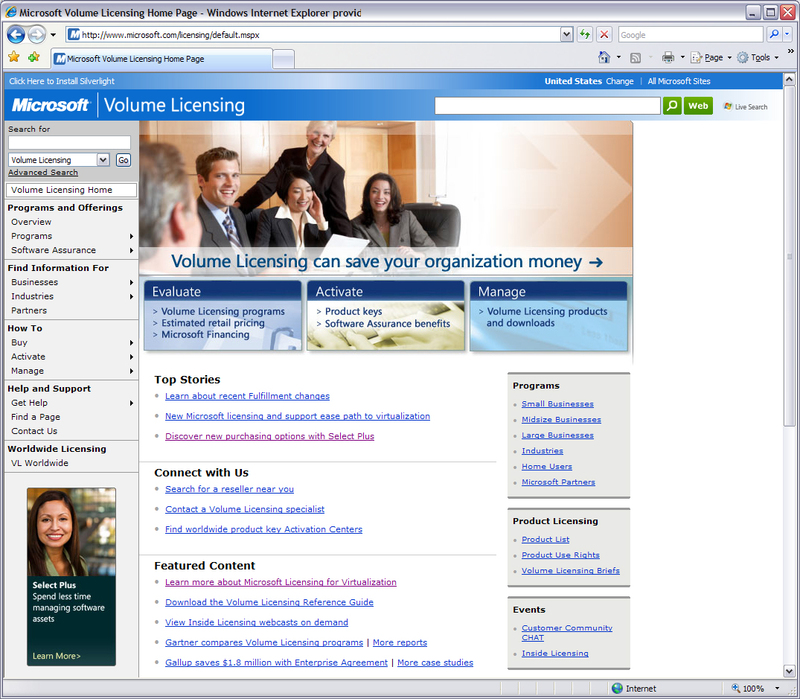 In 2006, Microsoft Licensing engaged our Digital Services team to provide support for a one-time custom content and website project. The initial project was so successful that the relationship quickly evolved into a long-standing digital marketing partnership. For the next 12 years, we continued to provide Microsoft Licensing with a broad range of services and support that included maintaining their website and online documentation, supporting marketing initiatives and campaigns, refining messaging, and providing analytics and insights that drive strategic planning and increase customer satisfaction.